KOT Engineering was founded in 1993, by Prof. Ihor Kotchergenko, project engineer since 1960. Born in an Ukrainian family, Kotchergenko is a mathematician graduated from ITA (Aeronautical Institute of Technology), and MSc in Civil Engineering from UFRJ (Federal University of Rio de Janeiro). 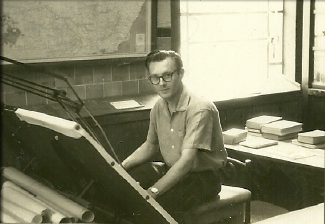 Since 1973 teaching computational methods in graduate level courses, he was the creator of the Finite Elements department in IME (Military Institute of Engineering) in 1978. Professor Kotchergenko is a pioneer and one of the main responsibles for the introduction of computational methods in Brazil. Currently located in Belo Horizonte, Brazil, KOT Engineering is specialized in solutions for structural safety, productivity improvements of equipments and structural calculations for the Brazilian industry in general. Since its foundation, KOT offers high level services to the largest companies in the country, becoming a reference of quality and reliability. Accident	investigation for insurance or third parties. Currently, the company counts on a wide portfolio, working mainly with structural audit in projects, inspections of equipments, monitoring and computer vision systems. Develop engineering solutions with excellence, capable of boosting our customer results, inspiring our staff to reach their maximum potential. Integrity, excellence, passion, innovation and collaboration. Look up to diversify our clients in the commodities business. Promote the search, acquisition and retention of talented staff. Ensure the continuous improvement of our products and services. Satisfy and exceed our client’s expectations and needs. Maintain an effective communication between our clients, staff and all involved parts.